I’m almost speechless after viewing this accompanying still from TEKKEN: Blood Vengeance 3D, the upcoming film adaptation of the popular video game franchise, which will be screening locally at UA Riverview Plaza and UA King of Prussia on Tuesday July 26 at 7:30 PM. NCM Fathom, always generous with the extras, will screen a post-film 20 minute featurette that includes cast and crew interviews. 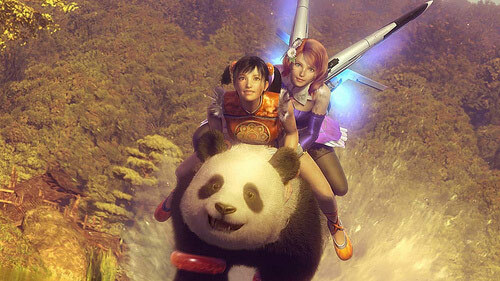 Ride the panda. In 3D.